The ultimate Palm Springs living. Designed by famed AIA Donald Wexler in the hip desirable neighborhood of El Rancho Vista Estates, an iconic enclave of mid-century homes and the first of the Wexler & Harrison residential subdivisions. El Rancho Vista Estates is located in Central Palm Springs in a quiet enclave surrounded by other well-kept mid-century homes. 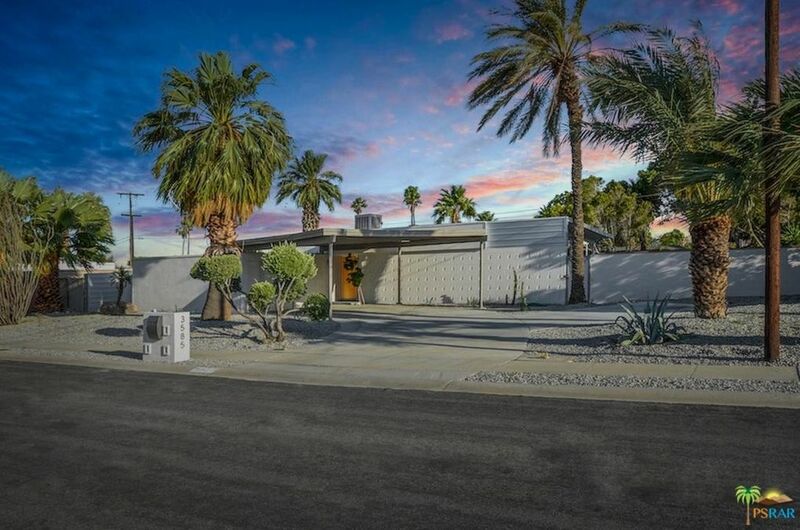 This Casablanca floor plan, designed by the architect who shaped Palm Springs, is a classic example of desert modernism. Float in your classic pool and soak looking the incredible views of the San Jacinto Mountains. Well maintained, fresh paint throughout, new plumbing making this a move-in ready dream house. South facing, the most desirable orientation in the Valley, oversized lot 11,761 SqFt, on land you own, 3BD/2BA plus a Bonus room (an extra BD and BA) with a separate entrance, a few minutes to Uptown/Design District with hip restaurants, shopping, Art galleries, Casino, Museums, Golf, Tennis, Biking and Hiking Trails, more.